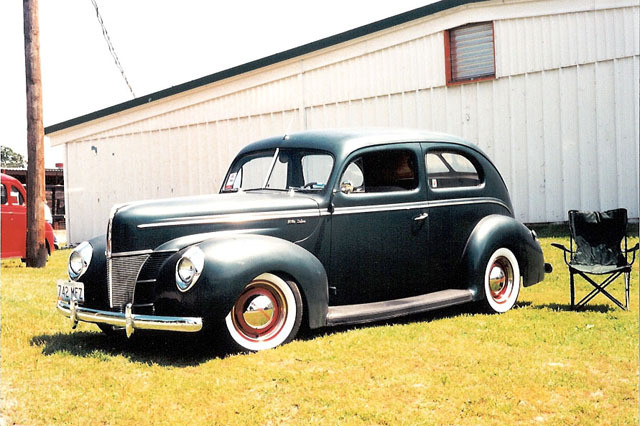 Sonny Hess’ ’40 Ford sedan. Such a cool car. The last few weeks have been busy, with work, Thanksgiving and being distracted by the ’54. Last night, after a 4 1/2 hour drive, I got checked in to my hotel and sat back to relax. Out of the blue, I got cool e-mail from Sonny Hess. He reminded me of a conversation that he and I had about a ’40 sedan that he had owned. It had old paint on it that had been rubbed through and had peeled from some sun baking, but it sat just right and looked like a blast to drive. I sent an e-mail to Sonny, asking him whatever became of the ’40 sedan. 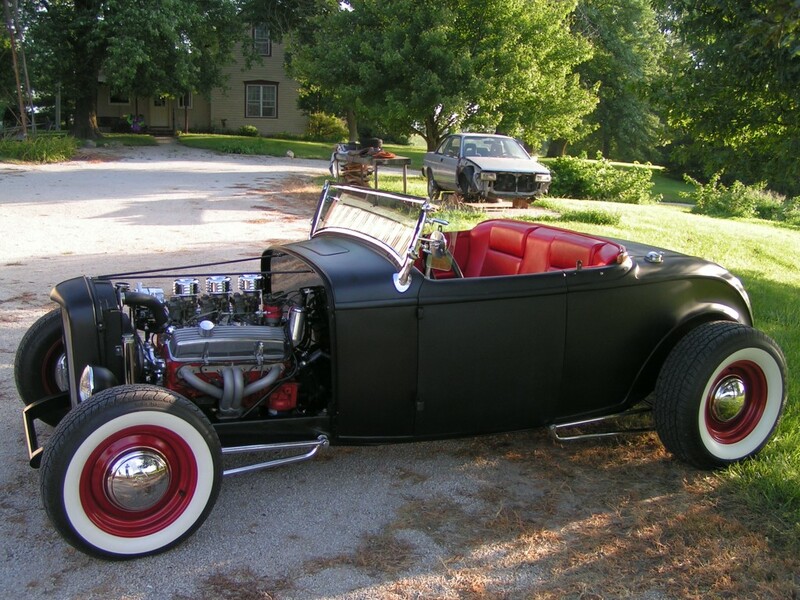 He replied that he had an opportunity to trade for a ’32 roadster, which was on his list of cars that he wanted to own. 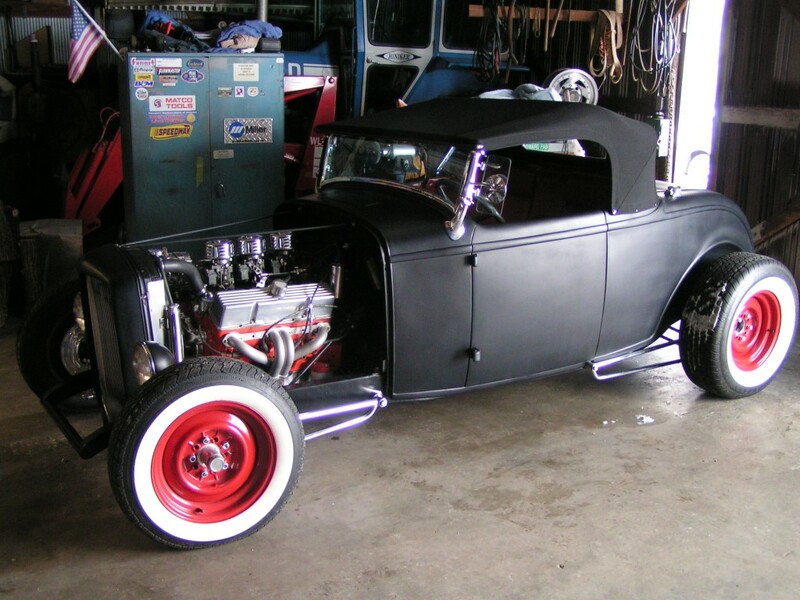 Sonny’s roadster, with the top up. Sonny says that he’s on the hunt for another ’40, too! Thanks, Sonny, for giving me a shout! Always fun to take trips down memory lane. Hopefully, on one of the trips that I make up through your neck of the woods, I can swing by and catch up with you again! Neat 40. I had the frame for my 40 tudor blasted today and will have the body done next week. Gonna be a very casual hotrod. Thanks for some inspiration.